House with sea access and pool, barbecue, good living and dining and 3 bedroom! 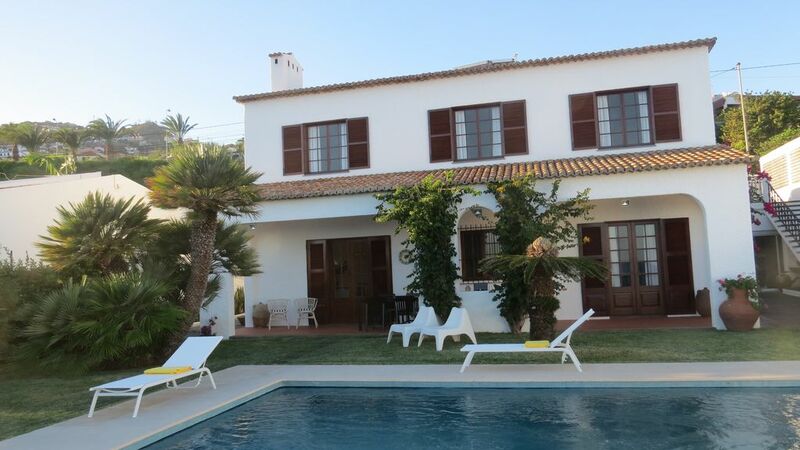 Holiday home on the Atlantic Ocean with private access to the sea and salt water pool renewed weekly. Light decor and bright colors for a happy and peaceful stay. Garden, porch and barbecue built for socializing and relaxation. The house the plot of 600 square meters, with a very nice 3 bedrooms, dining and living room oriented to the garden, pool and sea. Great to do the meals at the barbecue and have fun by the pool. Very nice to go to the sea by the private access. There are a Smart TV, Sound Dock and WIFI for your needs to have a great pleasure. Have a game room very nice to kids with some games and playstation. All You need is a great family holidays !!! Aquatic park near the house open from MAY till OCTOBER, very nice for children. Great villa. Gracious host. Parking straight forward. Amenities within easy reach. What more could anyone want. We are already considering returning next year. We were met at the airport by Andre, who guided us to the house. He gave us all the info we would need, together with best eateries, before showing us the nearest supermarket. The house was obviously a home rather than just a rental property and tastefully decorated. The bathrooms were a delight with their vintage tiles, giving real character to the house. The seawater pool was clean and refreshed weekly. The pool and garden were lovely and we enjoyed using the BBQ. amazing - everything you need to feel great! Carla and Andre created the piece of heaven on the earth! The photos tells you the truth :-)The house was not only beautiful, but very clean and perfectly equipped – there was everything we needed, even the blue English Cloverleaf pottery, which I personally felt in love with ;-) The owners are very friendly and helpful. The villa is very close to the airport, and the highway is nearby, so transport is not a problem. We’re afraid , that it could be noisy, but it wasn’t – the highway is well protected with the high wall (and you don’t see it). Landing planes could be perceived as a difficulty, but they weren’t for us, even on the contrary – our children had a great fun observing and counting them. From my point of view only one thing was missing – the dishwasher – as we had eaten mostly in the villa. We came with 4 children in February, and the weather was really fine, so we even used pool almost every day (children wearing scuba foams). We’re definitely want to come back soon! Das Meer zum greifen nah! Es war wunderschön. Besonders die Lage direkt am Meer macht dieses Haus zu was besonderen. Auch die Vermieter sind sehr nett. Nearby there is an aquatic park open from May to October. Santa Cruz Vila has everything needed for your holidays. Restaurants, Supermarket, typical Market and Pharmacy. We recommend, if You want to see the rest of our beautifull island to rent a car. Maybe Not necessary for all the days !! Holiday home on the Atlantic Ocean with private access to the sea and sea salt water pool renewed weekly. Light decor and bright colors for a happy and peaceful stay. Garden, porch and barbecue built for socializing and relaxation.